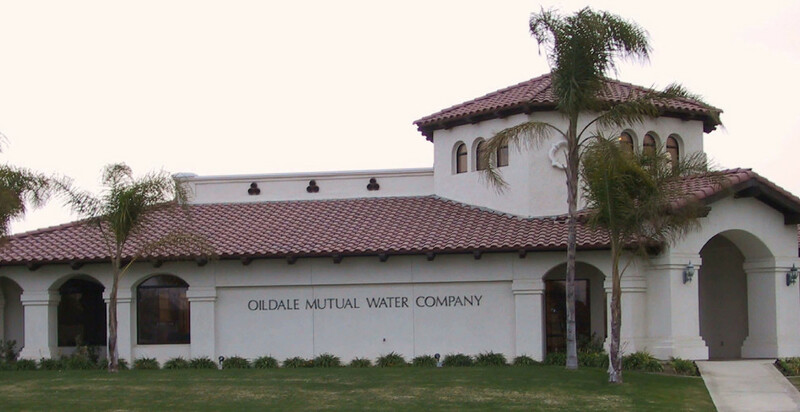 Oildale Mutual Water Company was founded by the residents of Oildale, California in 1919 to develop a water system to meet the demands of the growing community. Since the California State Water Project delivery system was initiated in 1977, local ground water has not been used except in emergencies. Oildale Mutual Water Company and Highland Park Public Utility District were the original retail suppliers of the water imported and distributed to the Oildale community by the North of the River Municipal Water District (NORMWD), a public water agency formed in 1969. Highland Park Public Utility District later merged with NORMWD in 1982. NOR was intended to be a wholesale water provider and formed, with the help of Oildale Mutual Water Company, to procure state water project water for the Oildale community. Thanks to an integration agreement completed in 2014, NORMWD resumed operations as a wholesale water supplier, as it was originally created to be and OMWC absorbed over 1,800 new customers. This integration will result in long term savings for the citizens of Oildale and $3.5 billion in reduced billings for those formerly under NORMWD’s water retail service. Oildale Mutual Water Company is governed by an elected five-member Board of Directors, representing the area’s varied interests. Directors are elected for one-year terms. The original office location was on Chester Avenue in Oildale until the early 1950’s relocation to 222 Minner Avenue. In 1999, a new office was constructed at 2836 McCray Street on a four-acre site. It houses the administrative, warehouse, and field operations. The location provides room for expansion of future water storage facilities to service new development within the service area. Dual water service has been available for newly developed business parks since 2009, providing separate water delivery for domestic and non-potable service. An additional parallel line is installed for use as a non-potable supply of untreated ground water for landscape and fire protection, along with the completely separate domestic service. Isolating and using non-potable water for these purposes saves money and frees up high-quality water for domestic service. A remote meter reading system was implemented in 2009, requiring the replacement of existing meters. The system has since been installed on new accounts and replacements have occurred as time has allowed. The new meters include a compatible sensor that collects and interprets the rotation of the meter register, and a small electronic radio transmitter that collects the data and transmits it on a secure low-frequency signal, using a battery designed to last up to 20 years. Either a fixed collector or hand-held receiver accumulates the data. As a result, one person can drive through a neighborhood and collect several hundred meter readings in less than an hour, greatly reducing the manpower needed for this monthly task. Additionally, immediate readings for service starts and endings are available, and household leaks can be detected.